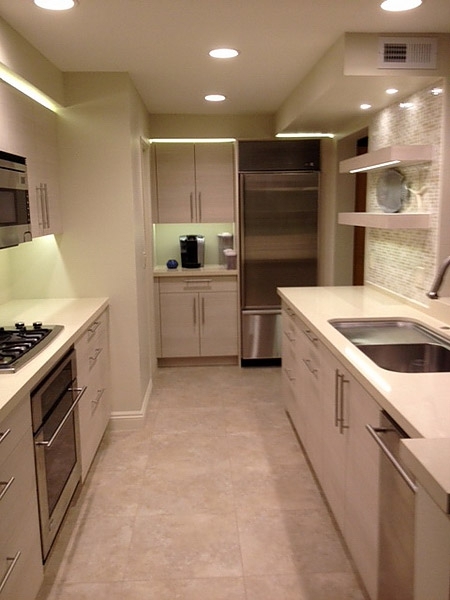 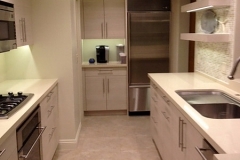 This kitchen uses less than 150 watts of LED lighting and is fully dimmable maintaining good color and no flicker. 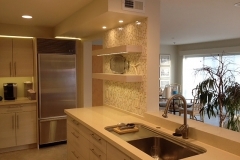 It meets Title 24 building code compliancy. 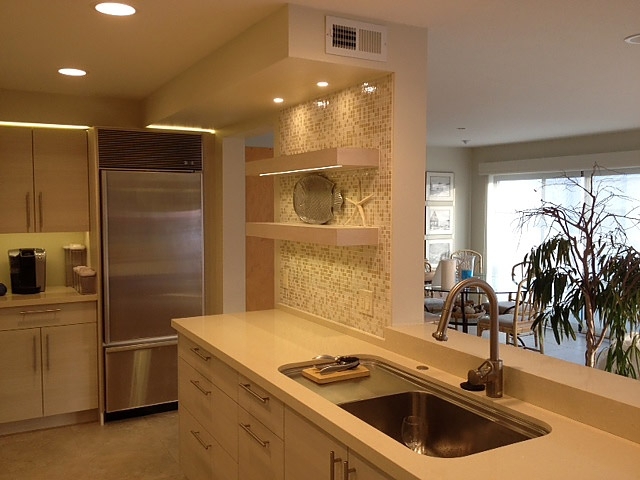 Please notice under and upper cabinet lighting, puck lighting, and recessed can lights all are using LED Technology.